After a long foot chase, several police officers arrested a minor nearby Concordia University’s Loyola campus late in the afternoon on Tuesday. Around 3:40 p.m., a teenage boy was seen running through campus without shoes, being chased by two police officers. 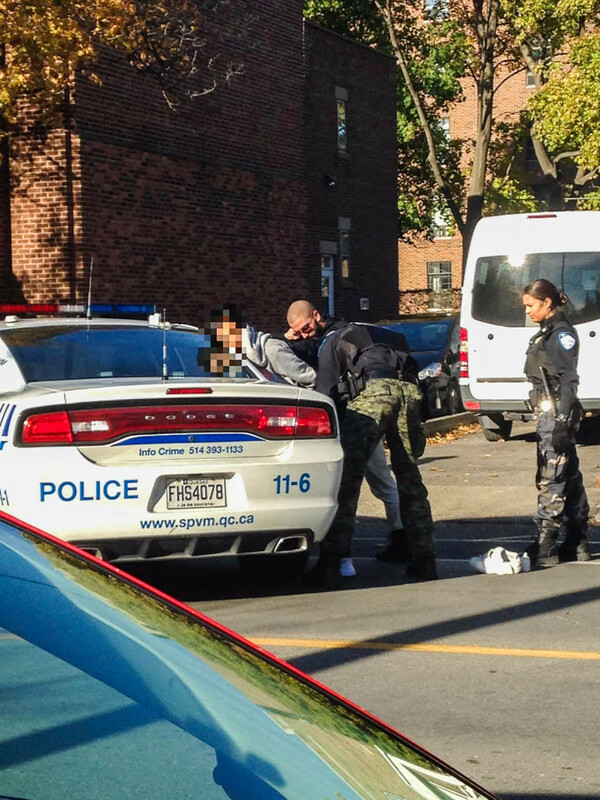 The young male was arrested for alleged possession of a stolen vehicle and possession of marijuana, according to a spokesperson from the SPVM. His name couldn’t be disclosed due to his status as a minor. The chase had gone on for a while, as both police officers were visibly winded and had trouble maintaining pace. After escaping the university premises by jumping over a fence and losing the initial two officers chasing him, the teenager was caught by several police vehicles awaiting on the intersection of West Broadway St. and Sherbrooke St. W.
A total of eight police vehicles were on site. As he was being arrested, the suspect’s friend handed him shoes. Correction: In a previous iteration of this story, it failed to mention that the reasoning of arrest was alleged and not proven. The Link regrets the error.